Stripes are perfect and I'm happy to say they fill up a large portion of my closet; it's definitely one of my go to prints when I'm unsure of what to wear. Mainly because it's such a versatile print that you can easily take from day to night with a matter of accessories! For summer I like to pair them with a lighter color palette and lately I've been obsessing over this blue and orange color combination. Isn't it amaze? There's something to say about an outfit that instantly makes you happy and this one does just that! This outfit is part of the East vs. West series that I'm doing with a few of my favorite bloggers; if you missed last week's I highly recommend you take a little peek at how to style denim shorts for summer. 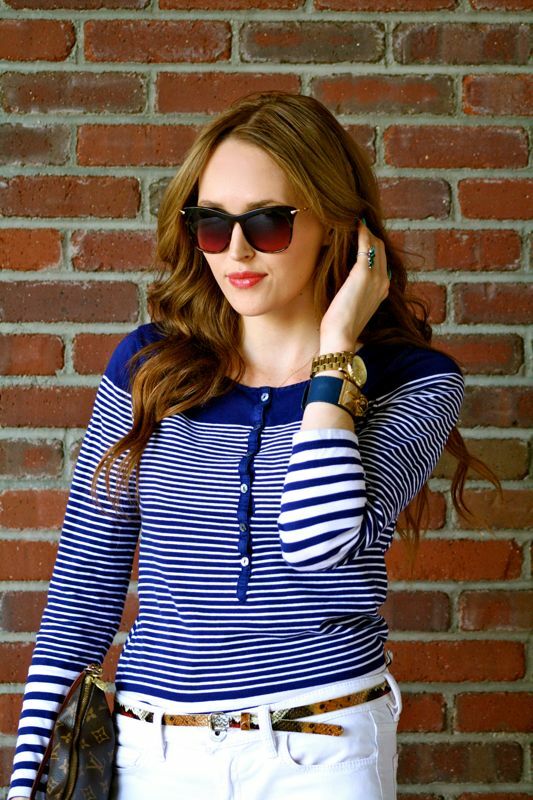 This week I'm teaming up Jackie from Living After Midnite, Jessica from My Style Vita, Tracy from The Right Shoes, Ashley from Pursuit of Shoes and Rebecca from Oomph again, to show you how to style nautical stripes for summer. 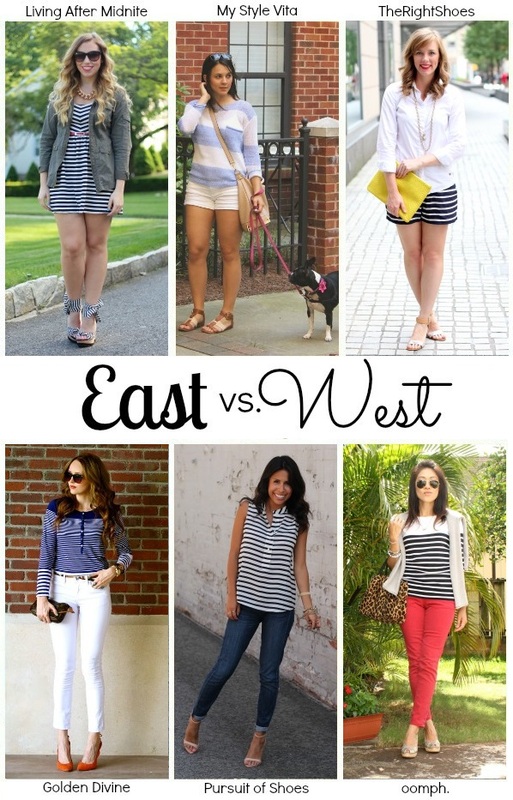 Head on over to their blogs to see how they styled this summer trend all their own! Check back every Tuesday as we'll be showing you how to style different summer trends. I love this simple clean look. The orange heels are perfect! Love the blue & orange combo! LOVE the shoes! Those are perfect. Obsessed with those shoes lady!! They look so great with this outfit! i am loving this shirt! love the combo of thick and thin stripes. great heels, too! Loving this look! A striped top and white skinnies is such a classic! Love how you've added orange pumps for a pop of color.